On a hazy, hot and humid morning recently I found myself humming along to "The Lion King" theme song amidst hundreds of elated people with giant ears. We were at the grand opening of the newly designed Disney Store at the Westfield Southcenter Mall in Seattle, WA . On this morning in this mall in Washington a lucky family was selected to use a giant key and open the doors to imagination. 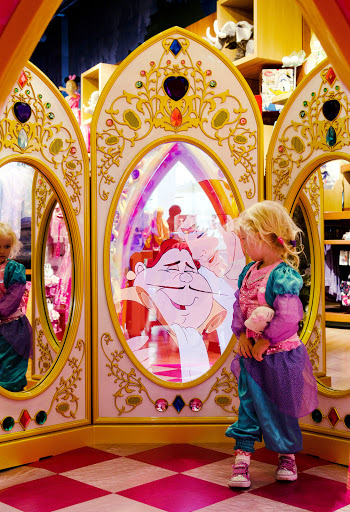 With translucent trees that come to life with projected videos, a magic Disney Princess mirror and areas dedicated to boys, girls, Disney collectors and even Disney moments, the new Disney Store was different than the former store. It’s now an experience, kind of like a mini-vacation. There is something truly happy about watching a child experience wonder. We looked on as little girls stood in front of a mirror which sprang to life happily surprising each little girl with magic. Little boys convened in their specially designed areas where interaction was cleverly placed at a child’s eye level. 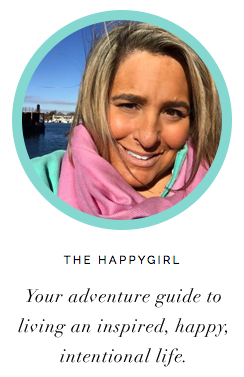 It’s hard to find happy in each day when you busily go about your day of getting ready in the morning, then work, maybe the grocery store and soccer practice and making dinner and folding the laundry and getting everyone off to bed every day. What if it was easy to get your happy on in a mall? Welcome to the newly designed Disney Store. The changes from the former design to the new are obvious from the very first moment you enter the store. You may wonder what that happy smell is. It’s the smell of Imagination. Really. It is. Similar to what hotels and casinos do, the Disney Store is multi-sensory, catering to your hearing (Disney music), sight (videos appearing unexpectedly projected on the walls) and smell. If you’re sensitive to scents and you try not to breathe whenever you walk through the waft of Abercrombie & Fitch perfume in the mall, don’t worry. It isn’t like that. It’s a clean, happy, soft scent here. (Seagrass + Sequoia actually) Scientists say that your sense of smell is the sense that is most closely tied into your memory. Smell Polo by Ralph Lauren? And you’re brought back to your dorm and your first college boyfriend. Homemade spaghetti sauce? You’re standing right next to your Italian grandmother sautéing onions and garlic. Cotton candy and you’re at a state fair (or Main Street USA at the Magic Kingdom!) It’s a nice touch that you might not have even noticed as you left smiling and wondering why you were so happy. Wander towards the back of the store however, and you will discover Imagination Station, an interactive space where kids can create their own entertainment with an 8 to 10 feet wide screen where videos come to life and even some magical treats. Here you can surprise someone with a special message. We watched as a video clip from “Winnie the Pooh” played followed by a welcome message to three of the special guests complete with their names spelled out in those ubiquitous Disney style letters. (The sisters who watched their names appear on the giant screen squealed with delight kind of like if your name were announced on the radio when you were a teenager.) You can wish someone a happy birthday or other special message. THIS is going to be wildly popular. I thought of how cool it would be to take your child here on report card day. Let’s say your daughter raised her grades from last year. With a little magic from a Disney cast member you can have “Congratulations, Madison!” scroll across the giant video screen. Let her pick out a new Jasmine plush and you are a hero. Also in Imagination Station, there are special events from How to Draw Mickey to Clubhouse Dancing. Take a tour of the newly designed Disney Store! I spoke with Mark Villalovos, Senior Manager of Guest Engagement about what else Disney fans can expect with the newly designed stores that are rolling out across the country. Mark Villalovos: This is the one place in the mall that you can get a genuine Disney experience in your hometown. We understand that the theme parks set the bar so high when they go there. We also want to deliver the Disney experience in an authentic way and that we are aligned. Happygirl: What makes this new store different from the former design? Mark: I think it is the surprise when a child comes around a corner and sees something for the first time. We can alter the new store and change it. We don’t ever want to be the same experience twice. I don’t know if you noticed but there are projections on the wall and at random times random characters appear. You might not notice it but you will catch it out of the corner or your eye. We want there to be surprise and delight not just for children but adults as well. The new design is from a child’s perspective. The best 30 minutes of a child’s day is not just a tag line for us. It is more of a mantra. We believe that it is possible in this time starved and incredibly hectic sort of world that there is a place where a child can come and discover new things and be themselves, look and see what is new and exciting about our company. HG: What about the Imagination scent. That’s new. Mark: Multi sensory is something we are going after. The word game changing was used so frequently. We designed the store and we wanted to do it better and be more unique. Scent is a powerful sense but it isn’t used frequently. The store scent isn’t a bubblegum fragrance but something that an adult could appreciate. We did research on scent and we will have four or 5 different fragrances in the next two years. November 1 we will reveal Imagination Winter which is a piney scent. It is meant to be subtle. We want to infuse the atmosphere. It is a welcoming scent. When you walk in and when you exit it says goodbye and thank you for coming. HG: What’s your happiest moment in the store? Mark: As a parent it is about watching your child experience something for the first time. When we introduce a child to the mirror for the first time it’s the overwhelming enthusiasm they exhibit. A child can get to a point where they have almost uncontrollable, uncontainable joy that they bounce around. If you look forward to that trip to Walt Disney World once a year, if your child sleeps with his arms wrapped around Simba or you dress your dog like Eeyore for Halloween, the newly designed Disney Store is about to become your new happy place.